Quick text is predefined messages, like greetings, answers to common questions, and short notes. Which helps to stop retyping the same message over and over and save time. You can insert quick text in emails, chats, and more. 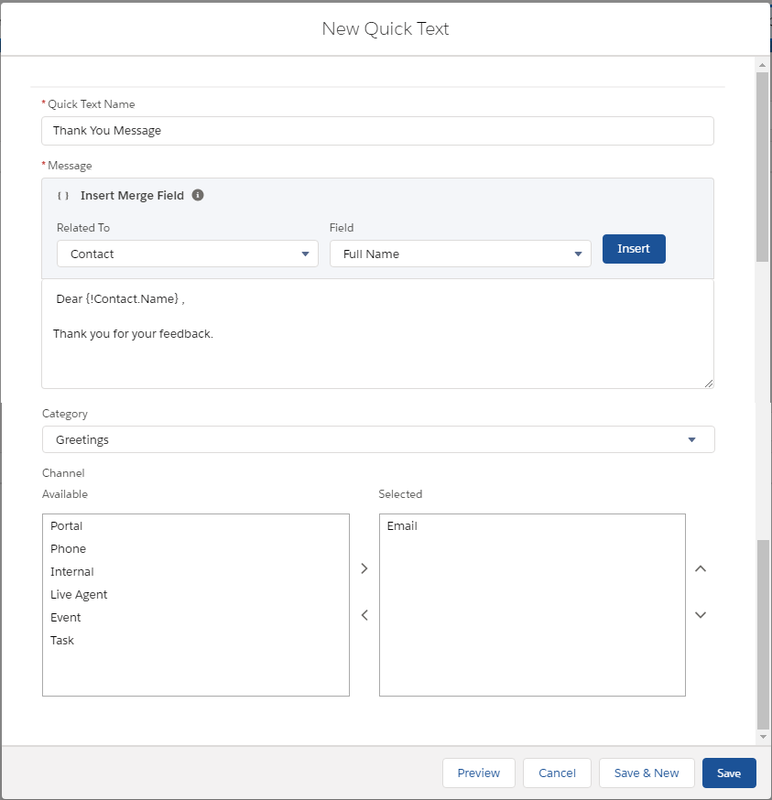 Giving users access to quick text lets them insert predefined messages in their emails, chats, events, tasks, Knowledge articles, and more. Service agents can respond to customers and update cases quickly and easily. Sales reps can work with their contacts, accounts, and opportunities more efficiently. Use a permission set or update profiles to give your users Read permission on the Quick Text object. Optionally, you can also give users Create, Edit, and Delete access to let them create and manage their own quick text messages. 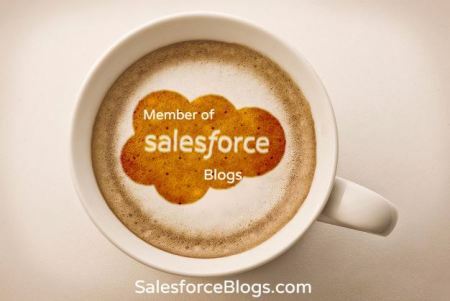 Create custom predefined messages to insert into emails, chats, tasks, events, and more. Quick text can include merge fields, line breaks, and special characters. You can merge fields based on your requirement. Select the channels in which you want the message to be available. If you use merge fields, click Preview to review the message with data from records that you choose. You can use quick text on all standard and custom objects in the following supported quick actions or places: emails, events, Knowledge articles, Live Agent chats, Log a Call actions, social posts, and tasks. You can share quick text with users, public groups, and more. 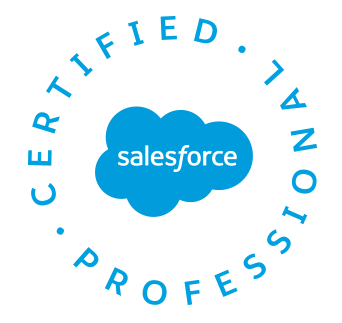 The way you share quick text in Salesforce Classic and Lightning Experience is different. 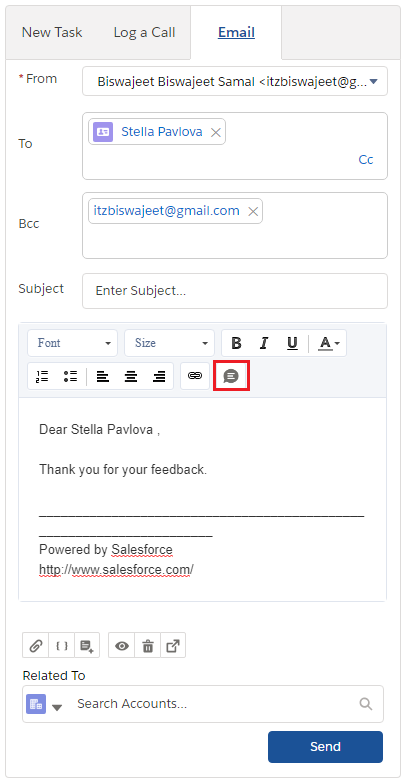 In Salesforce Classic, you can share individual quick text. In Lightning Experience, you share quick text using folders. You can also change your org-wide default sharing setting for quick text. Or you can limit access by creating sharing rules to specify which groups of users have access to quick text.